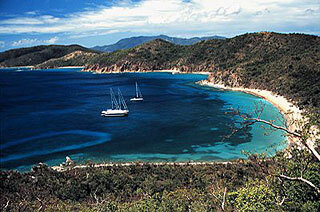 Virgin Island Yacht Charters – The Virgin Islands are divided between U.S. and British territories. The U.S. Virgin Islands are St. Croix, St. John and St. Thomas. In St. Thomas, the liveliest of the U.S. Islands, you will find some of the best dining and duty-free shopping in Charlotte Amalie. St. John is famous for its untouched, natural beauty. Two-thirds of the island is a national park. Nature trails on land and the underwater snorkeling trail at Trunk Bay — complete with plaques that describe marine life in the area — are terrific opportunities for a close look at some of the Caribbean’s most beautiful features on a crewed yacht charter. The British Virgin Islands are grouped around the Sir Francis Drake Channel. This passage is among the world’s grand boulevards for charter yachts.Scenic Road Town, Tortola, the island capital, tempts visitors with every sort of regional and international cuisine. Virgin Gorda lies east of Tortola and is home to the famous Baths — an arrangement of shallow pools and grottoes which flood with crystal clear sea water creating an unforgettable setting. Nearby snorkeling is excellent. 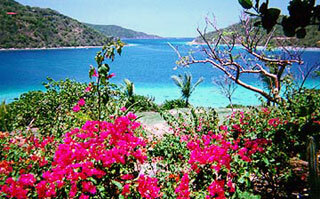 Jost Van Dyke, with its charming, informal bars and restaurants, is the “party island” of the BVI. Anegada, totally surrounded by a protective reef, is the most remote. With miles of untouched beaches along the western and north shores, itis sometimes called “The Beach Lover’s Island.” Extensive offshore reefs and wrecks are -home to lobster and exotic fish and marine life. Arrive St. Thomas where we’ll pick you up and deliver you to the yacht to settle in. After a champagne toast we’ll leave and travel at 35 knots 20 miles along the south coast of St. Thomas through scenic Pillsbury Sound to Jost Van Dyke, BVI. We’ll clear customs and then spend the rest of the day anchored in White Bay. You can venture ashore to Foxy’s for some nightlife. Pick up anchor and move to Sandy Cay for a cookout and beach party for lunch. Relax awhile on this picturesque tropical island and then move in the afternoon to Cane Garden Bay, Tortola to spend the night. Music and dancing ashore. Run along north shore of Tortola and through scenic cuts at Beef Island to the Baths at Virgin Gorda. Anchor and explore the huge boulder beaches of the famous Baths and then return to the yacht for lunch and a leisurely cruise to Gorda Sound. Two choices. We can snorkel caves at Normans where you can feed the tropical fish right out of your hand or spend the day in Anegada; a secluded BVI rarely visited off to the north. If the weather is right, visit both in one day. Move to Roadtown, Tortola. Here we can dock and return to civilization for a day. Shopping is abundant and there is an unforgettable taxi trip through the mountains that is highly recommended. Make a run back to the USVI’s to Hurricane Hole, a beautiful anchorage on St. Johns. This is a good place for everyone to experience his or her favorite part of the trip again. Exploring, beaches, snorkeling abound. 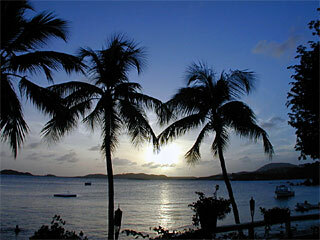 Return to St. Thomas early to clear customs in time for your flights. Spend your spare time here anyway you would like. Pack and say your good-bye’s relaxed and ready to return to your lives at home.